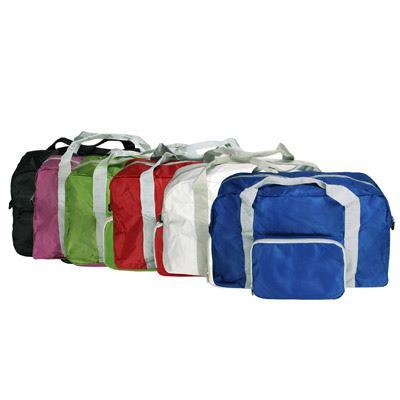 Travel bag w adjustable shoulder strap, padded grip, strengthened bottom and front zipper pocket. Foldable design makes for neat storage. Available colours: white red, pink, green, blue, black.